2,773 sq ft; lot: 18731 sq ft - MLS# 1340282 Courtesy of Lakeway Realty, Inc.
Geneva GEM on a near 1/2 acre lot! Situated directly across the street from the fields of Geneva Elementary but totally secluded and private. 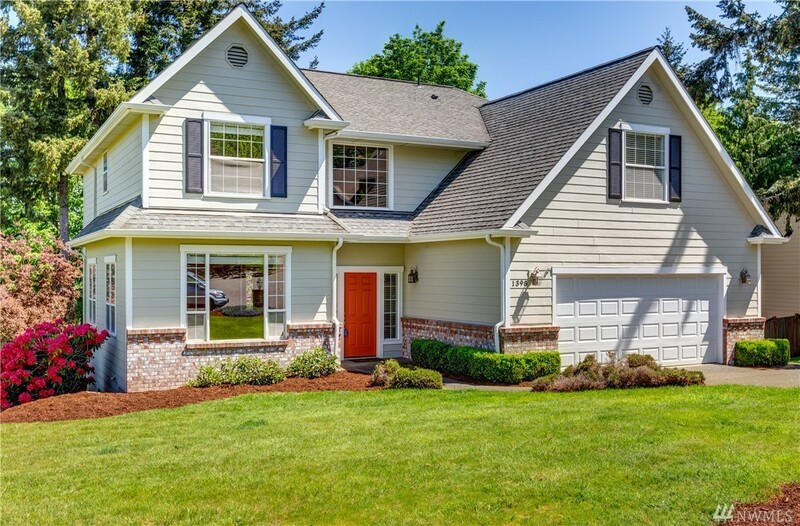 Geneva Hills Estates is a highly sought after quaint neighborhood along the shores of Lake Whatcom. Just steps to lake access, trails, & parks. Quiet cul-de-sac with plenty of elbow room between each home. Awesome floor plan featuring large bedrooms, a remodeled kitchen, separate living rooms, & fabulous finish work. On a scale of 1-10, this is an 11!